JOHANNESBURG — Poaching, poisoning and other hazards have taken a heavy toll on Africa's endangered vultures. New research suggests that the scavengers also face another threat — toxic bullet lead that they ingest while eating the carcasses of animals shot by legal hunters. One-third of nearly 600 white-backed vultures caught and tested in Botswana had "elevated levels" of lead in their blood, and higher lead concentrations were found in vultures during the hunting season and in hunting areas, according to a study published last month in the Science of the Total Environment journal. African vultures are in peril from livestock owners who poison carcasses to kill predators such as lions, and from poachers who contaminate carcasses to target the birds whose overhead circling might attract rangers. The study's lead author, however, said there should be more scrutiny of the impact of lead poisoning on African vultures and a move to use alternatives such as copper ammunition. "It has not really been recognized as a possible threat in Africa," said Beckie Garbett, a researcher with the Raptors Botswana group and a PhD student at the University of Cape Town in South Africa. Botswana banned hunting on state land in 2014, though it continues on private farms. Neighboring South Africa generates the most revenue from regulated hunting on the continent. Kenya banned legal hunting in 1977 as the country lost wildlife to poachers. Lead ammunition can fragment into many small pieces after entering flesh. Scientists have previously reported the health risks to humans and wildlife from eating animals shot with lead bullets. The Botswana study acknowledged past research indicating condors' particular vulnerability to lead and the relative tolerance of some vultures, though Garbett noted some surveyed vultures were listless. "Sometimes after the captures, instead of flying off straight away they would hang around and act like they didn't know what to do," she said. Lead poisoning from bullets was hindering the recovery of the critically endangered California condor in the United States despite bans on the use of such ammunition in condor habitats, according to a 2012 report by Environmental toxicologists at the University of California, Santa Cruz. 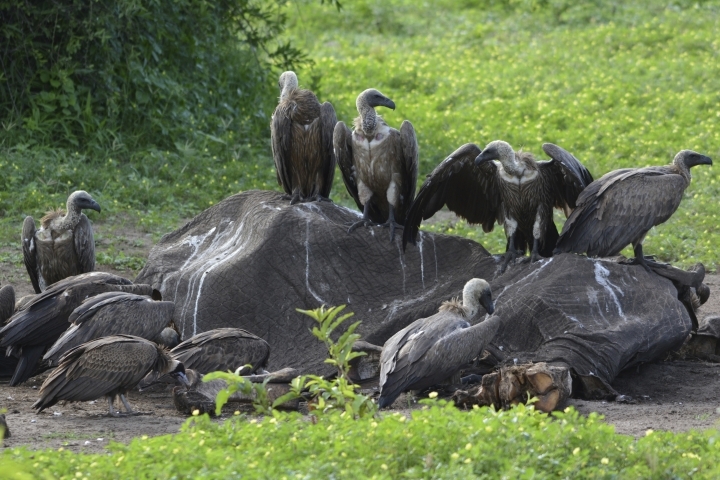 Africa's White-backed vultures are listed as critically endangered. The South African Hunters and Game Conservation Association is awaiting more data on lead levels in vultures and will make a recommendation to members about lead ammunition, said Gerhard Verdoorn, the association's president. However, Verdoorn said that he and his friends are concerned about the threat and stopped using lead ammunition to hunt long ago. Some alternative ammunition contains small amounts of lead that doesn't burst into small pieces inside a shot animal, he said. Any government considering whether to ban lead ammunition in hunting "would surely question the potential impacts of those exposure levels on vulture populations," said Darcy Ogada, assistant director of Africa programs for The Peregrine Fund, a U.S.-based group. Still, the Botswana study conducted between 2012 and 2015 highlights "a lesser-known threat in Africa and one that is much more easily overlooked," said Ogada, who was not involved in the research. 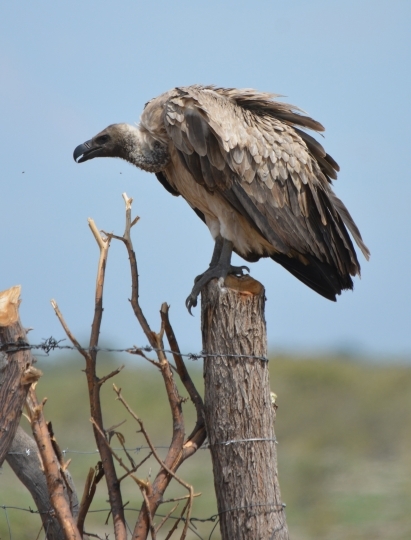 Vultures are more vulnerable to ingesting lead from ammunition than birds of prey such as falcons, hawks and eagles that often do their own hunting, said Verdoorn, the hunting association president. Vultures are, he said, "the end of the food chain."